This is the program for temporary exhibits for the year to be held at the Uffizi Gallery (and Print and Drawings Cabinet). During the entire first half of the 1400s, painted sculpture – whether of wood, marble or terracotta – was the highest form of artistic expression for sculpture. 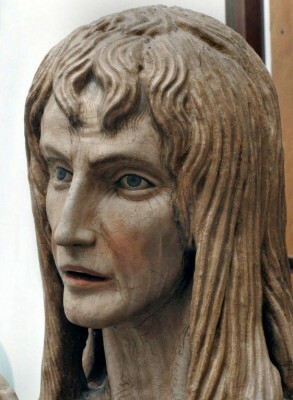 The exhibit, for the first time ever, sets out to show the history of wooden, colored sculpture, through a core of 50 works, of 15th century in Florence. In Florence, the life of the workshops, where sculptors, painters and architects came together to discuss, compare and create, were of utmost importance for the work of the Masters of that time. 37 works, between sketches and prints, the majority never exposed in public, that date from the first three decades of the 20th century. Drawings of figures, faces, self-portraits with expressing profound emotions that set off psychological games of glances between the artist and the person being drawn and between him and the observer. These works reveal the complexity of those first 30 years of the century, giving an idea of the dramas that were to unfold. Among the selected artists you’ll find Jacques Villon, Alberto Giacometti, Anders Zorn, Ram, Thayat, Giovanni Costetti, Giuseppe Lunardi, Pietro Bugiani, Kurt Craemer, Primo Conti, Giuseppe Lanza del Vasto, Marino Marini, to name a few. This exhibition, the first ever dedicated to Ardengo Soffici (1879 – 1964), will be the occasion to study his artistic experience as an artist, writer, art critic and as a polemic that was very active during his time. He came into contact, and at times with stark, courageous contrast with other contemporary artistic movements within the Italian and European panorama. 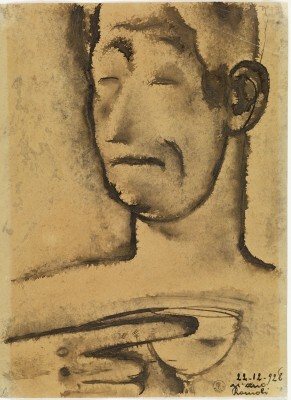 The title of the exhibition, Discoveries and Massacres, alludes to the collection of works by Soffici, published between the first and second decade of the 20th century, and recognized today along with the cultural initiatives he supported and organized as important steps in the renewal of art in Italy in the 20th century. 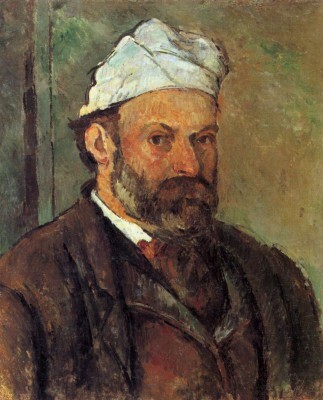 Consider that he helped organize the first Italian exhibition on Impressionism in Italy in Florence in 1910. The works included in the exhibit – from Segantini to Cezanne, from Renoir to Picasso, from Degas to Medardo Rosso, from De Chirico to Carrà as well as Soffici’s own work – were selected based on the predilections and aversions Soffici demonstrated and wrote about. The works will contain critical phrases directly from Soffici’s writings to ideally help the viewer rediscover one of the most productive and fertile interpretations on the origins of modern art, through his decisive “discoveries” as well as his drastic “massacres”. Tiziano Vecellio (Pieve di Cadore, ca. 1485/90 – Venice, 1576), A Knight and Horse in the Act of Falling, Oxford, Ashmolean Museum. 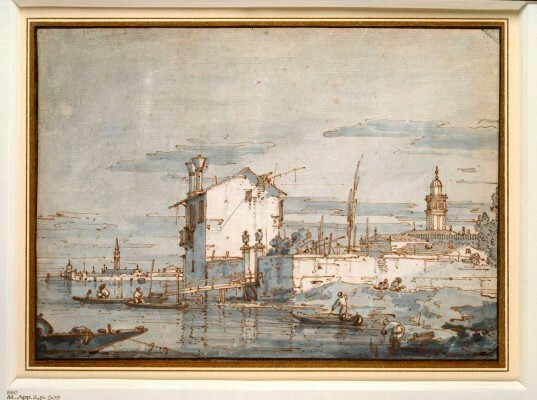 This exhibit will bring to light the development of drawing style in Venice and the Veneto region between the time of Titian, Veronese and Tintoretto and that of Canaletto, a period in which figurative production was closely tied to the dynamics of artistic workshops. 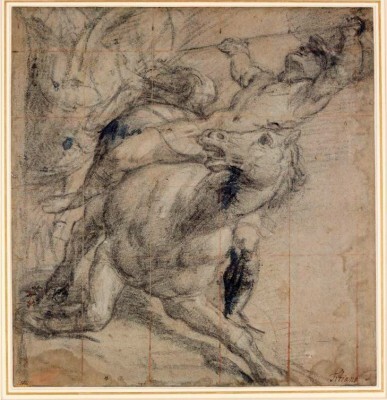 It will be an interesting occasion to study the particular expressive language of drawings in Venice by placing them in next to and in contrast to the works within the collections of the Cabinet of Drawings and Prints at the Uffizi Gallery and those of the Ashmolean Museum at Oxford University. Antonio Canal, known as Canaletto (Venice, 1697-1768), View of the Lagoon with the Island of San Michele, Oxford, Ashmolean Museum. 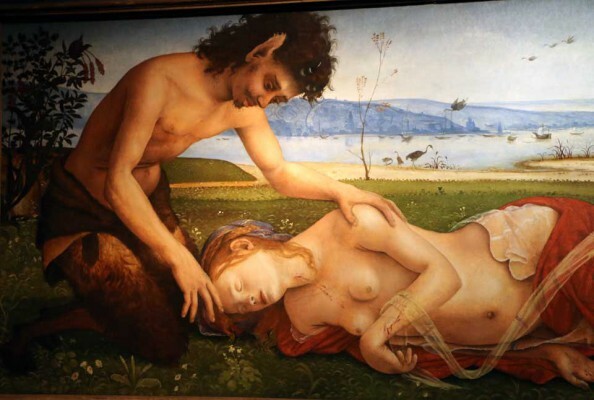 Not many know Piero di Cosimo by name, an original, unique and extraordinary storyteller from Florence’s Renaissance. Beyond the art history world, he certainly never reached the fame of his contemporaries, Filippino Lippi or Fra’ Bartolomeo. For the first time ever, at the same time as Washington’s National Gallery showed interest in the artist and thus the idea was born of organizing it together, an exhibit is fully dedicated to this artist and his life, to showcase his mastery of observation of our natural world and how he could transform it into an enchanted world, whether the paintings were of a sacred or symbolic nature. 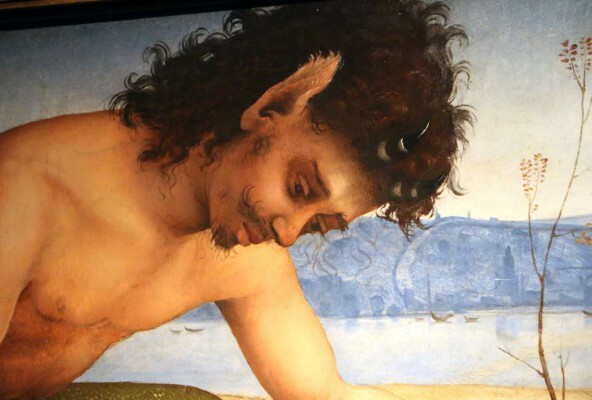 The exhibit in Florence is not exactly the same one that was presented in Washington earlier this year, as this exhibit also includes several drawings by Piero di Cosimo that could not travel to Washington because of their delicate nature. 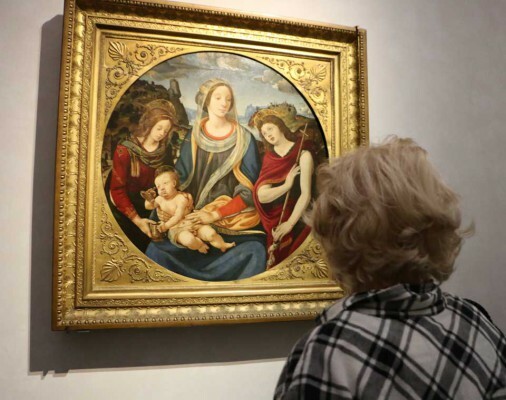 The over 100 works of art also include works by Filippino Lippi, Fra’ Bartolomeno and Lorenzo di Credi, to show the work of various masters that worked in the same time period. It includes works which are now spread out across the world, with 13 works from US collections from Washington to New York to Los Angeles, and from Amsterdam and Scotland and other countries. Piero di Cosimo introduces us to the elegant taste and style of his patrons, from the Vespucci family to the Strozzi and the del Pugliese that commissioned works with mythological themes for their homes. We learn he was a solitary painter, as recounted by his biographer Giorgio Vasari, anti-conventional, who disregarded his physical aspect and thus appeared quite eccentric. 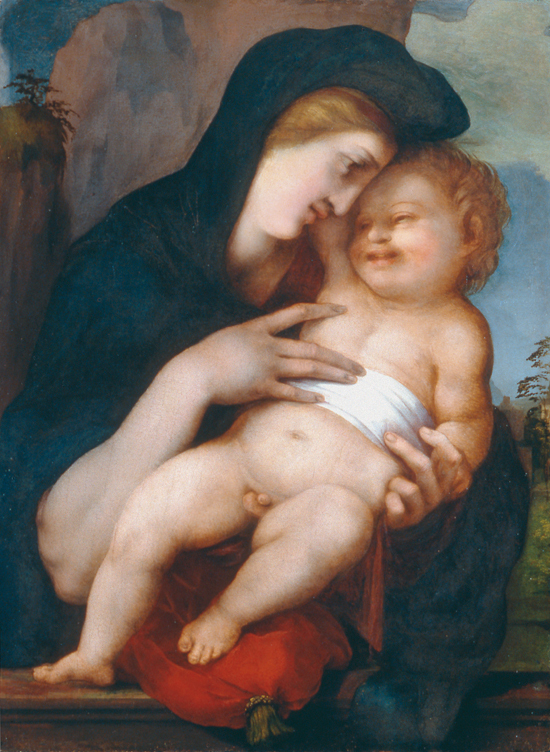 Piero show affinity with Leonardo da Vinci in his interest and study of nature and the intensity portrayed in faces, as seen in the smiling faces of the figures in the Madonna with Child from the Cini Foundation in Venice. Piero di Cosimo, Two Angels with Crown, Edinburg, Nationaly Gallery of Scotland and Mystical Wedding of St. Catherine of Alexandria with St. John the Baptist, Saint Mary Magdalene, and St. Sebastian, 1510-1515 circa, Private Collection in Florence. 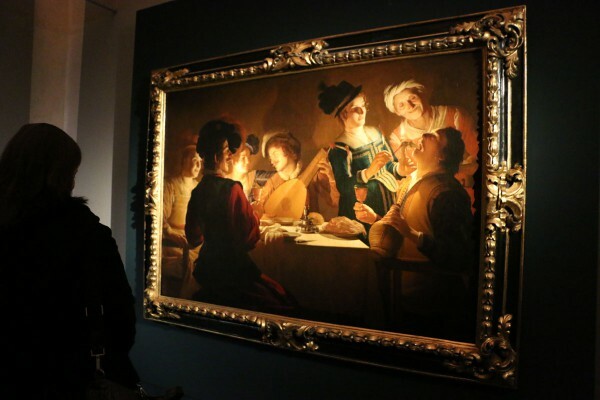 The Uffizi Gallery opens the year’s “Art for a Year” program of exhibits with the first exhibition dedicated solely to the work of Gerrit van Honthorst, the Dutch Golden Age painter known in Italy as Gherardo delle Notti, and his presence in Italy in the early 17th century. Van Honthorst (November 4, 1590 – April 27, 1656) early in his career visited Rome, where he, like other of his contemporaries, was heavily influenced by the recent art they encountered there. He was particularly influenced by the naturalism and eccentricities of Michelangelo da Caravaggio and soon became very successful painting in a similar style. Gerrit van Honthorst, Supper with Lute Players, 1619-1620, oil on canvas – Uffizi Gallery, Florence… this can be called a bit “bizarre” if you observe the three figures on the right – what are they doing? He became especially noted for his depiction of artificially lit scenes, receiving the nickname “Gherardo delle Notti” (Gerard of the Night). His period in Italy lasted about 10 years, with a hasty departure from Rome in 1620. Following his return to the Netherlands, he became a leading portrait painter and represented the so-called Dutch Caravaggisti. The exhibition concentrates on this time in Italy, as it was a period in the artist’s life that was rich in works and in stylistic exploration. His success in interpreting Caravaggio’s style was quickly met with such success that his works had the honor of occupying important altars in Rome and in Genova. Soon, important collectors such as the Grand Duke of Tuscany, Cosimo II, were interested in his work. Thanks in part to Cosimo’s passion for Gherardo, the Uffizi Gallery today owns 5 beautiful paintings by von Honthorst, including three large ones of merry suppers (which set off the development of this type of painting in Italy and northern Europe). 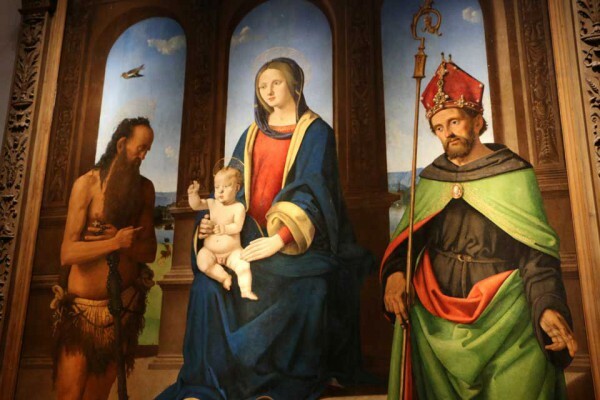 The Medici Ambassador in Rome, Piero Guicciardini, asked Gherardo in 1619 to paint the altar piece for his family chapel in Santa Felicita, the large Adoration of the Shepherds illuminated by candlelight that was a victim of the Mafia bomb at the Uffizi in 1993. A beautiful video projected directly on the work lets visitors see what has been lost of the painting. The Adoration of the Shepherds was highly damaged in the car bomb of the Uffizi on May 1993. 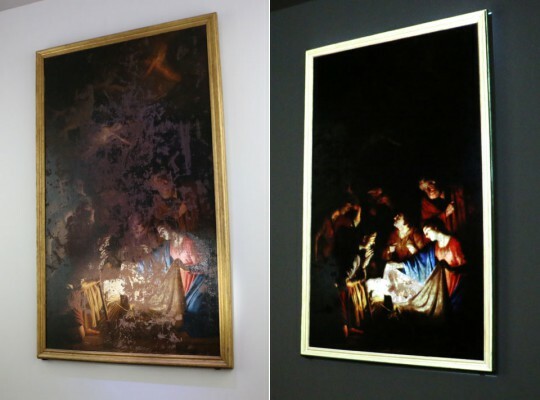 The video projection reconstructs the painting to give the viewer an idea of what has been lost. 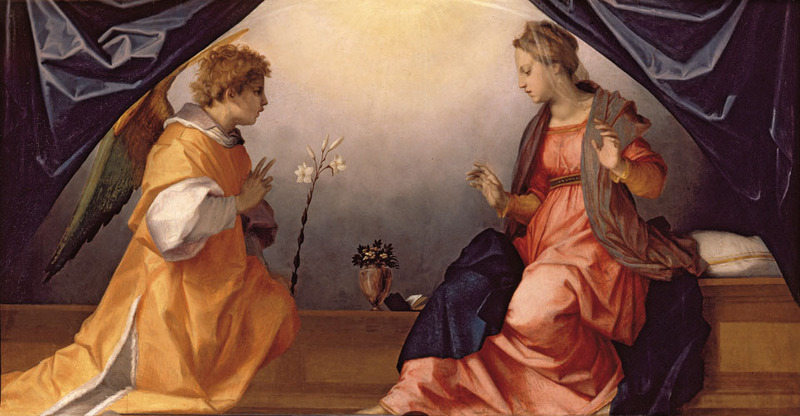 The start of the exhibit begins with his early work in Rome, which still retains much of his own style with altar pieces from the Palazzo Reale in Genova and from private collections. 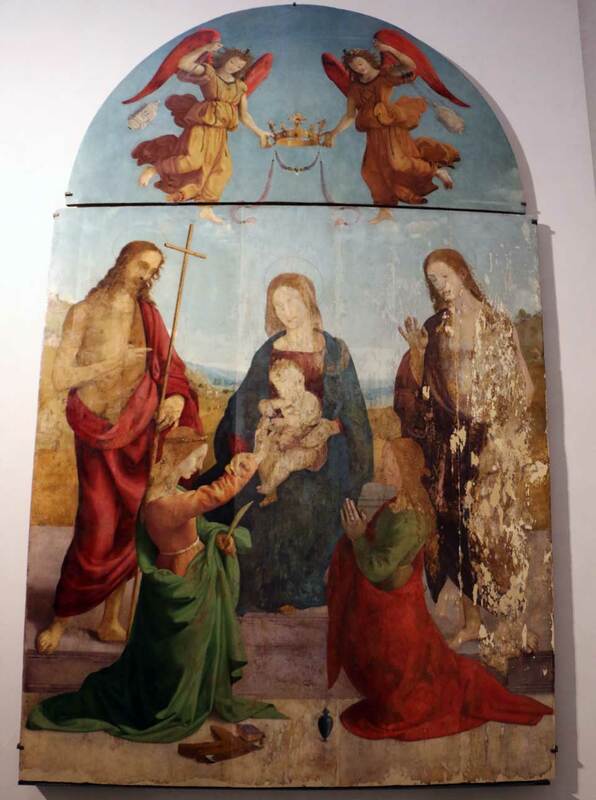 The second phase, the better and more mature style for which he is known, contain the Florentine works of merry suppers as well as the Christ before the High Priest from London’s National Gallery. Particularly important are three large altar pieces from Genova, Rome and Albano on display in one of the largest rooms. 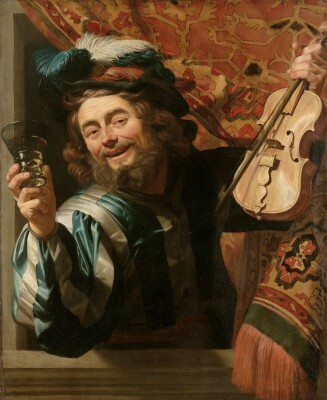 There are then works created immediately after his return to the Netherlands, including the Merry Fiddler at the top of this page, while the last section is dedicated to other painters who were in turn influenced by his own work. 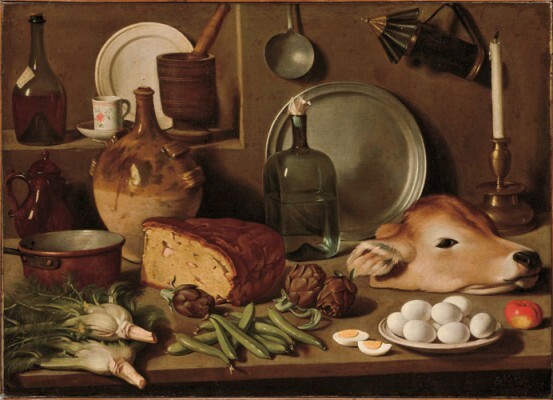 This includes both Italians as well as other Dutch painters, including his own teacher, Abraham Bloemaert, who devoted much of their careers to exploring the rendering of light on canvas. In this period, you’ll be able to see that Gherrit’s own work, got “lighter” or less dark after the time he spent in Italy. In the exhibit, Caravaggio is present with one work, the Tooth Puller, from the Palatine Gallery. 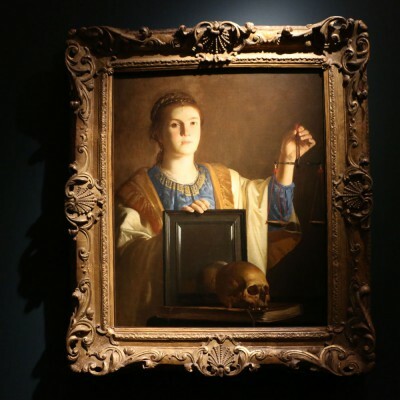 Artists and art in search of a definition: this could be one reading of the great exhibition The Pure, Simple and Natural in Art in Florence between the 16th and 17th centuries, which is the second exhibition to open in 2014 at the Uffizi Gallery. The “modern manner” of Leonardo, Michelangelo and Raphael was exalted by Giorgio Vasari for having overcome the tradition of the 15th century and having reached “perfection. 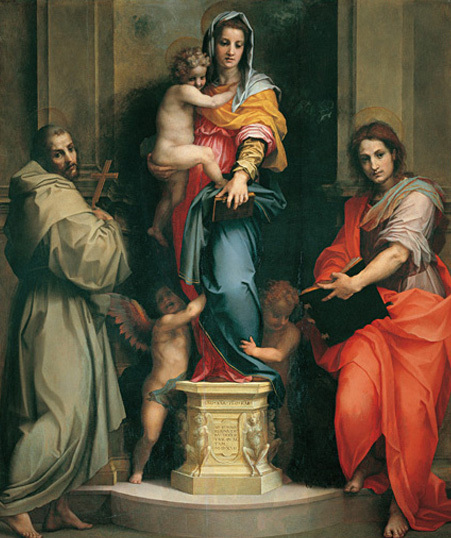 With minor conviction, he also cited Fra ‘Bartolomeo and Andrea del Sarto as of importance, as fine drawers who could imitate nature and creators of devotional works. 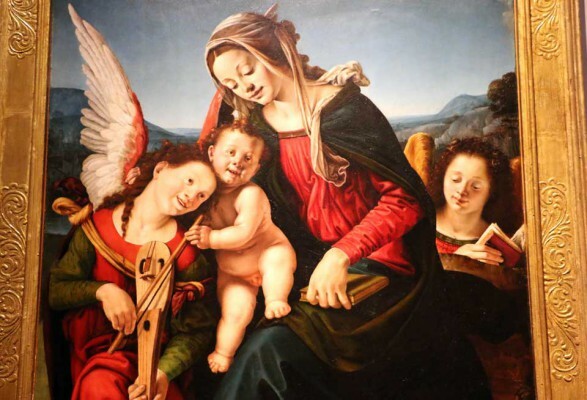 In that period – between the end of the 16th century and the turn of the new – Florence and Italy was seeing the opening of several paths of change in various fields, not just art: in music, language, religion and, above all, in the sciences, that were promoting profound changes. The period in art, however, is missing a name or categorization that art historians usually tend to assign to historical periods to group together artistic tendencies, no matter how complex they might be. Between Romanticism, Gothic and Late Gothic and Renaissance and Mannerism and Caravaggism and Baroque, where to place this group of Florentine artists? The Uffizi has grouped them by their style of pure, simple, natural, expressions of honest principles but which can be a formal title? The exhibit is divided into 5 chronological periods and then 4 thematic sections (72 paintings and sculptures in all) which presents a whole series of masterpieces, many of which have been restored just for the occasion. 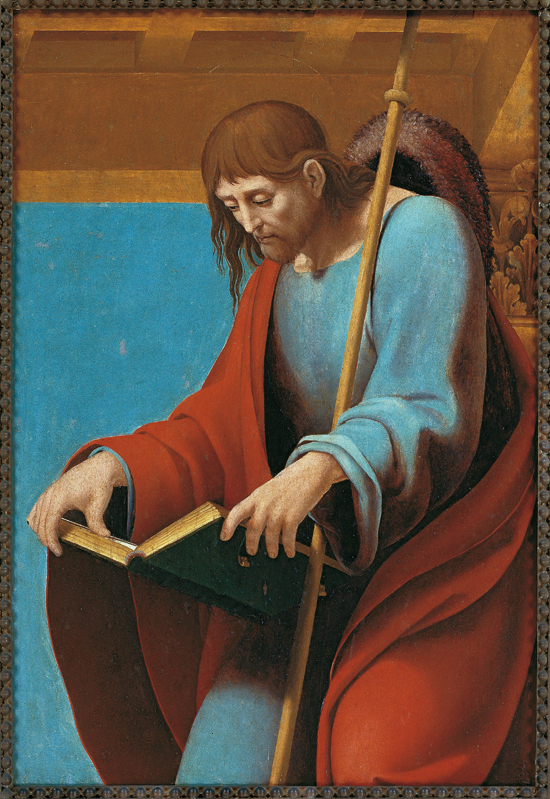 There are works by the masters: Andrea della Robbia and Andrea del Sarto, Fra’ Bartolomeo and Andrea Sansovino and then of their “students” from the modern “ordered manner”: Franciabigio, Bugiardini, Sogliani. 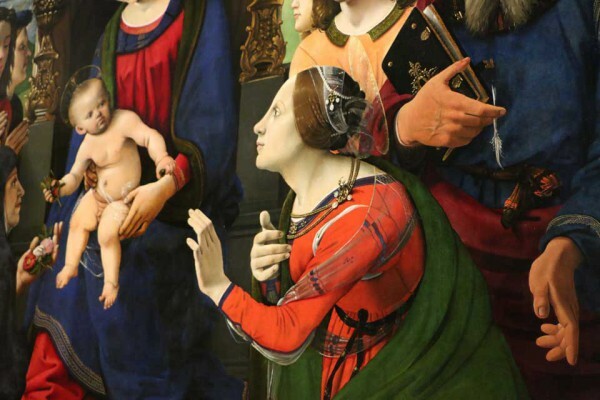 Then there is Bronzino and Alessandro Allori, Santi di Tito, Jacopo da Empoli, Ottavio Vannini (for the first time in Florence, his masterpiece conserved at the Nantes Musée des Beaux-Arts) and Lorenzo Lippi. 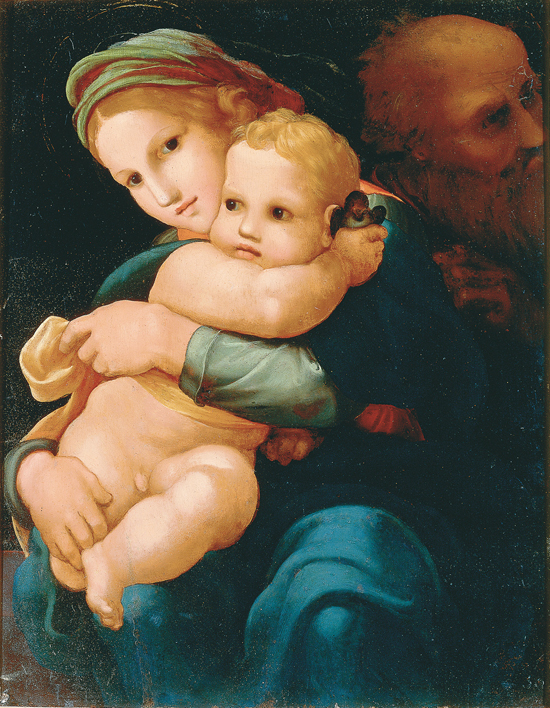 After a hall dedicated to drawings from real life, where there are samples from Andrea del Sarto to Pontormo from the mid 16th century, the same artists are reproposed by themes: “paintings of home”, of private items (which includes a beautiful work by Fra’ Bartolomeo coming from the Los Angeles County Museum), “paintings of things”, where the protagonists are domestic objects (note the magnificent Franciabigio coming from the English Royal Collections) and of the “scared tradition”, which closes the show with a spectacular triptych of the Redemptor by Torrigiani (rediscovered in Great Britain), Caccini (a miraculous conservative recovery) and of Novelli (from the New York Metropolitan). The Molinari Pradelli private collection is internationally renown and the most important formed in Bologna in the 20th century. The famed orchestra conductor Francesco Molinari Pradelli (1911-1996) traveled all over the world during his professional career and loved collecting high quality works of art. With over 100 paintings from the collection, the Uffizi Gallery pays homage to a prestigious conductor who worked in Florence at the helm of the Maggio Musicale Fiorentino and at the Teatro Comunale. The conductor had success all over the world, in Europe and America, from Vienna to San Francisco to New York’s Metropolitan Opera. His growing passion for collecting paintings started in the 1950s, first with 19th century works and then discovering Baroque painting. 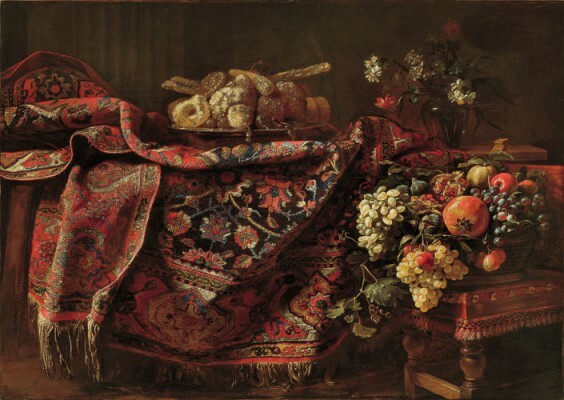 He developed an attraction for still-lifes, a genre just beginning to garner interested from scholars. combined the pleasure of owning artwork, aesthetic appreciation and the desire for knowledge, stimulated by museum visits in the cities his professional career took him to. 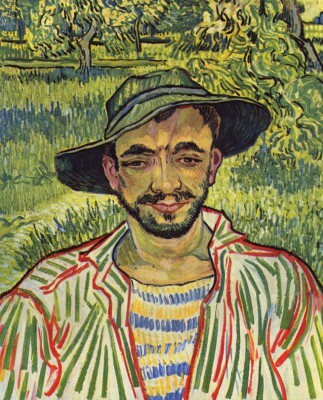 His choice of art reflected his passion, not what others considered might have considered was important to own. Great art historians from Europe and America came to admire the maestro’s large private collection of seventeenth- and eighteenth-century painting from various Italian schools and the particular attention for models. 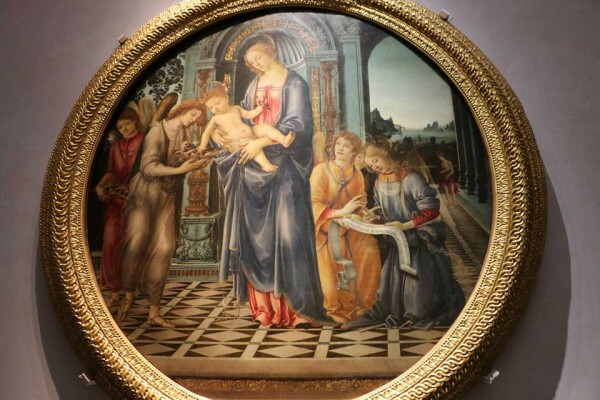 The selection of over 100 paintings you can admire at the Uffizi is an exceptional opportunity to admire paintings not usually admired by the general public. 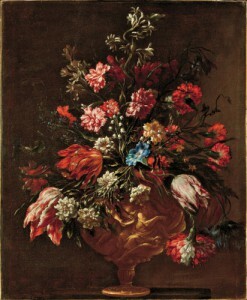 Exhibition included in Uffizi Gallery entry ticket. The “modern manner” of Leonardo, Michelangelo and Raphael was exalted by Giorgio Vasari for having overcome the tradition of the 15th century and having reached “perfection. 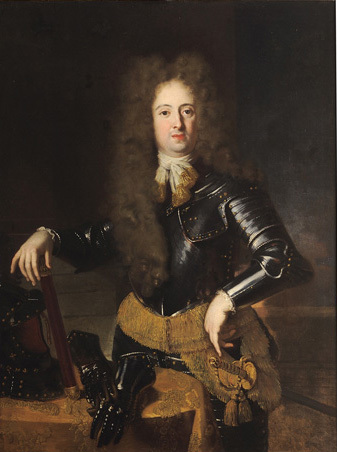 To mark the 300th anniversary of the death of the Grand Prince Ferdinando de’ Medici (1663-1713), the Uffizi Gallery will devote a celebratory exhibition to one of the most important collectors and patrons of the arts in the entire history of the Medici Grand Dukes of Tuscany. The son of Cosimo III and of Marguerite-Louise d’Orléans, Ferdinando nurtured two overriding interests from a very early age: theater and music and the figurative arts. The exhibition sets out to convey the complexity of his interests and the innovative nature of his approach which drew the leading artists of the era (musicians, instrumentalists, painters and sculptors) to Florence between the end of the 17th century and the first decade of the 18th. An introductory iconographic section displays likenesses of the prince and of his family, with works by Giovan Battista Foggini, Justus Suttermans and Anton Domenico Gabbiani. The early years of Ferdinando’s art collecting and patronage which focused on his beloved villa at Pratolino where, alongside musicians, singers, costumiers and composers, he also hosted the Bibbiena family from Bologna, masters in the art of stage design. The renovation of Palazzo Pitti, of the Pergola Theater and of the cathedral of Florence on the occasion of Ferdinando’s wedding to Princess Violante Beatrix of Bavaria in 1689. The prince’s growing interest in the figurative arts, both in contemporary sculpture and in painting, with the leading artists active at the time, many of whom were experts in such “modern” late 17th century genres of as still-life and portraiture. Of equal interest in the section is the presence of sumptuous objects, pieces of furniture and everyday items testifying to Ferdinando’s sophisticated tastes, with works by the leading engravers, marquetry in layers and silversmiths then active at court. 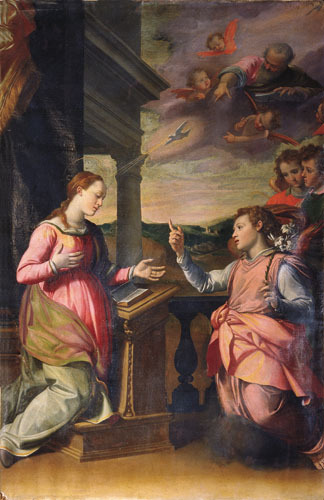 The tastes of the Grand Prince as collector, with some of the 16th to 18th century paintings removed from churches in Tuscany and elsewhere, including Andrea del Sarto’s Madonna of the Harpies, Lanfranco’s Ecstasy of St. Margaret of Cortona, Annibale Carracci’s Farnese Altarpiece, and lastly, the Madonna of the Long Neck by Parmigianino, one of Fernando’s most prestigious acquisitions in the field of Renaissance art as the 17th century drew to a close. The grand prince’s favorite villa of all, Poggio a Caiano, whose decoration he renovated with the greatest magnificence. 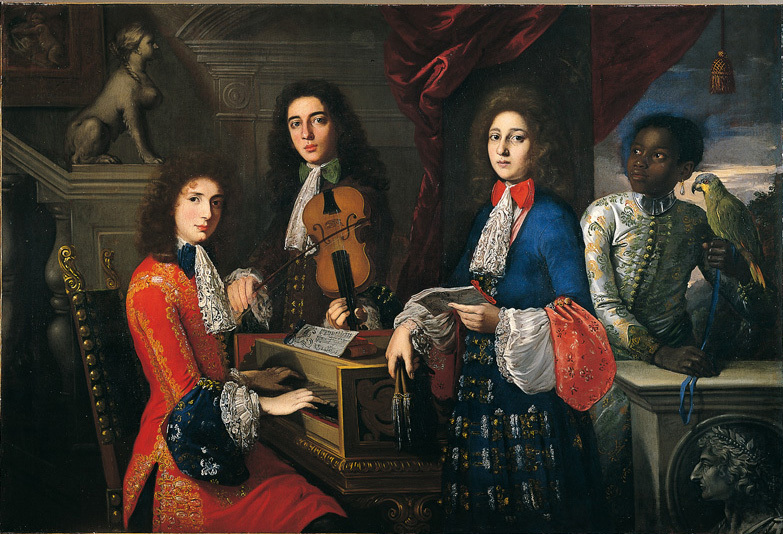 The prince’s taste for major Florentine statuary at the close of the 17th century, while in the sphere of painting it looks at the change in Ferdinando’s taste in favor of “foreign” schools – far more modern than anything local artists could produce – such as the Venetian school , the Bolognese school and the Ligurian school whose leading painters were summoned to Florence, where they produced some of their masterpieces specifically for the prince. The last years of Ferdinando’s life, exploring the results and repercussions of his art patronage and collecting. An exhibition devoted, in a nutshell, to the artistic ties between Florence and Spain in the first two decades of the 16th century. 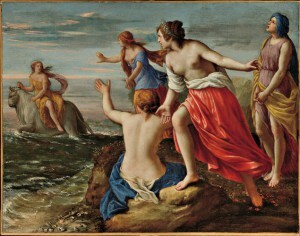 “Thus I also say that no nation and no people (with the exception of one or two Spaniards) can either perfectly assimilate or imitate the Italian manner of painting (which is that of ancient Greece) without being immediately and easily recognised as foreigners, however much they may try or work hard at it”. 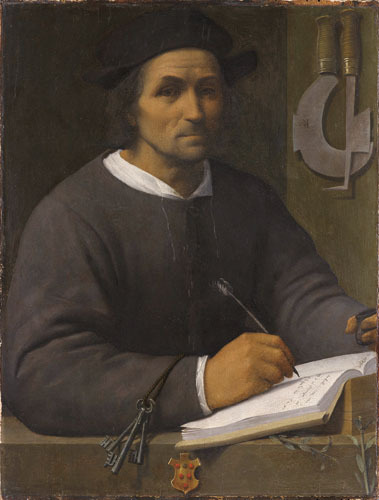 This remark served as inspiration for the first exhibition ever devoted to the creations of those Spanish artists who traveled to Italy between the early 1500s and the 1520s to play an active role in the effervescent cultural climate that had developed in those years in Florence, Rome and Naples. All of these painters and sculptors proved capable of carving out a leading role for themselves in the spread of European mannerism, thanks also to their apprenticeship in the most important cities of Italy. Italian art historical sources readily acknowledge the Spaniards’ preeminent position on the international scene in the 16th century. Giorgio Vasari, for instance, writing in his Lives of the Most Excellent Painters, Sculptors and Architects (1550; 1568), mentions Berruguete’s presence alongside Rosso Fiorentino and Pontormo in their study of the works of Michelangelo and Leonardo, and in their meticulous exploration of the masterpieces of the Florentine Quattrocento (especially of Masaccio’s Brancacci Chapel). The exhibition occupies eight rooms, adopting a strictly geographical approach to illustrate these artists’ output with a reasoned selection of the prestigious work that they produced either during their stay in the Italian peninsula or immediately after their return home.